Saucy Chicken and Sausage over Creamy Parmesan Polenta – a true comfort meal if there ever was one. 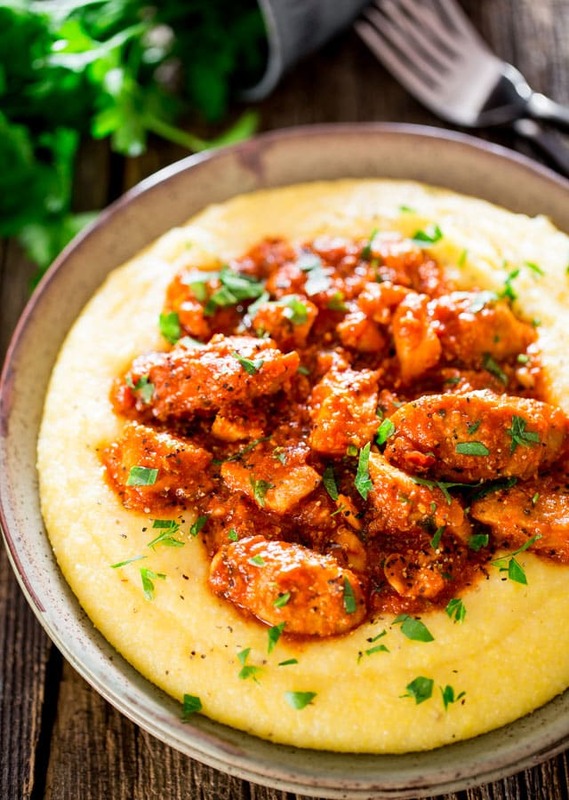 Delicious chicken and sausage in a spicy tomato sauce served over a creamy and cheesy polenta. Let’s talk about polenta, my friends. 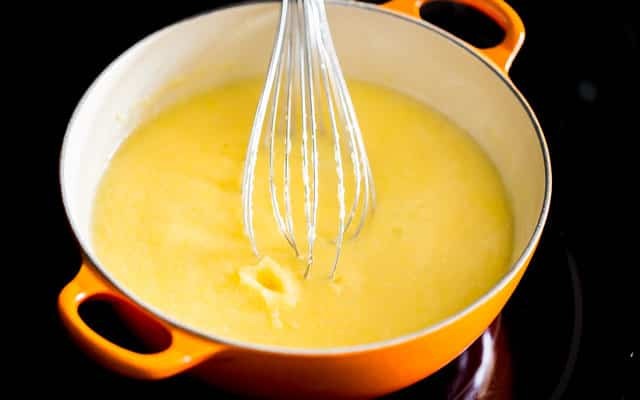 Polenta is probably known more as an Italian dish that has become extremely popular in North America over the past few years, though Polenta is really popular in most of Europe and has been for a very long time. I grew up eating Polenta, it was a staple in our house. In Romania it’s known as “mamaliga“ and we really eat it with anything, in place of bread. 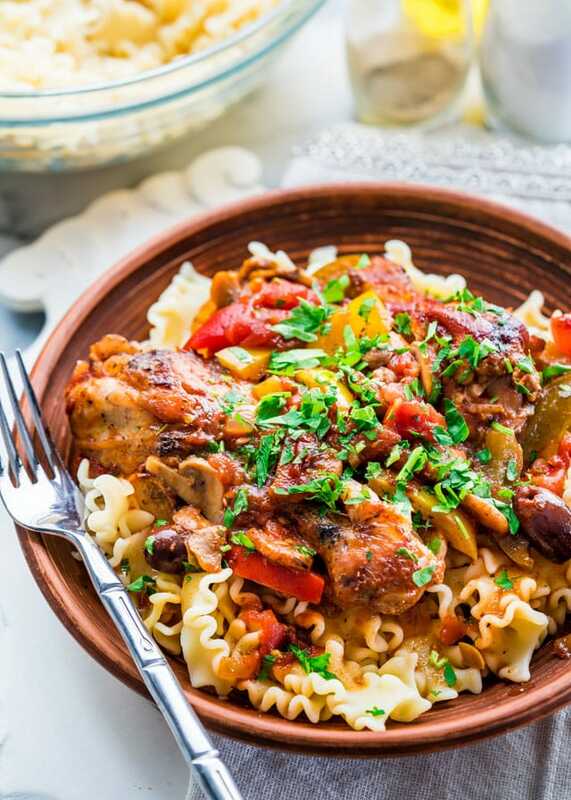 It’s extremely popular to be served alongside cabbage rolls or any type of stew. 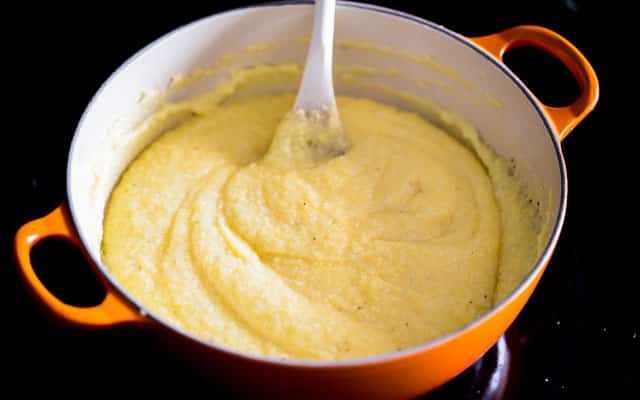 Polenta is really served as a peasant food, a very inexpensive food made usually from 2 ingredients, cornmeal and water. Growing up my mom always used to tell me that every woman should know how to make polenta and that any man who’d want to marry you would first want to make sure you can make it, otherwise he’d have to think twice about marrying you. Of course this is her old fashioned way of thinking, but nevertheless she taught me how to make it at a very young age. Polenta is usually made in big old heavy cast iron pots and for some reason polenta is the one dish whose difficulty is most overrated. My mom would agree here and say polenta is difficult to make because everybody thinks that it requires a lot of stirring and god forbid should you have any lumps in it. I beg to differ. Over the years I’ve made so much polenta that I came to realize that it’s really no big deal and quite easy to make. We’ll talk more about polenta when I show you how to make it but for now I want to focus on this yummy saucy chicken and sausage stew. There’s nothing really that goes better with polenta than meat in some tomato sauce. To me this is the kind of comfort food that I grew up with. So here I just used some pork sausages, some chicken, onion and garlic. Pretty basic, but lots of flavor. You basically want to cook everything together for about 10 minutes or until the meat starts to brown a bit. After about 10 minutes it should look like the picture below. If you’re using a Dutch oven pot like me, you’ll notice that the bottom almost looks burnt, and you might think you burnt it. 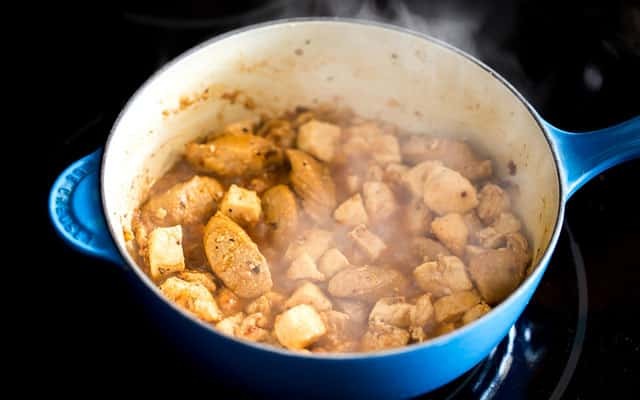 But that’s what I was going for, because now you’re going to add some white wine, or chicken broth and scrape those brown bits really well, that’s where all the good flavor is. Cook it for a couple more minutes, while making sure all the brown bits have been scraped and you can now also taste it and season accordingly. I seasoned it with some salt and pepper, and added some oregano. You then can add your tomato sauce, I added some hot sauce for a bit of a kick and a bit of butter. Cook it for 5 more minutes and garnish with parsley. That’s about all there is to this simple dish. This goes well on pasta or rice, it doesn’t have to be only on polenta. And you can also add more veggies to it, like mushrooms would be a nice addition, or some bell peppers, or even peas. Back to the polenta now. It’s really a pretty straightforward thing, it’s cornmeal and water. You don’t have to hover over the stove to make sure you stir it constantly and know the secret of the universe in order to make Polenta. Sorry mom, but it’s true. Your secret is out. Again I used a cast iron pot because they really are perfect for making polenta. 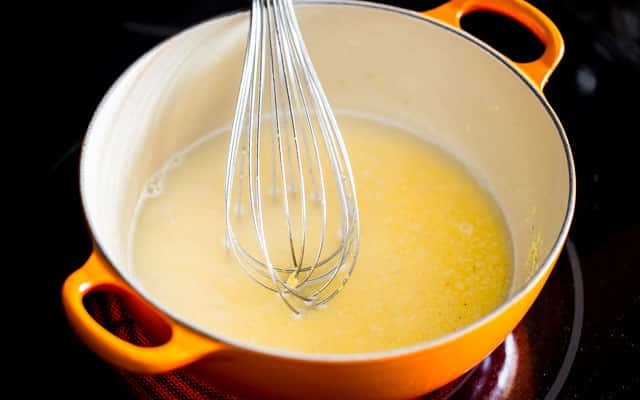 You start out with a cup of cornmeal and a cup of water, and before you even turn the heat on just whisk it all together, this will ensure there will be no lumps. Then you can turn the heat on medium low and just wait. Go drink your coffee, or do some surfing on the internet, but just don’t hover over it. You’ll notice it will start to thicken, so you will have to whisk it occasionally or rather when you add water. I add about a cup of water at a time, whisk and wait. In the end you will have to add about 4 to 4 1/2 cups of water in total to 1 cup of cornmeal. Don’t get fooled by it because every time the cornmeal absorbs the water you may want to think that it’s done, but it’s not really done, cornmeal takes a bit of time to cook, so the best thing to do is taste it and make sure it doesn’t taste raw. After you’ve added all the water and it’s all been absorbed you’ll end up with a thick creamy polenta, and it should be thoroughly cooked. Now’s the time to add all the goodies to it and add some flavor. I added lots of Parmesan cheese, because I think we’ve established already how much I love it, a bit of butter and some black pepper. No need for salt since there’s plenty in the Parmesan cheese. Stir it all in and that’s it. All that’s left to do is eat. I like to serve this by plating a large serving of polenta on a plate and add the chicken and sausage over. Of course then I go and stir everything together and make a mess but it doesn’t matter how you eat it, you’ll love it. Of this I’m certain of. 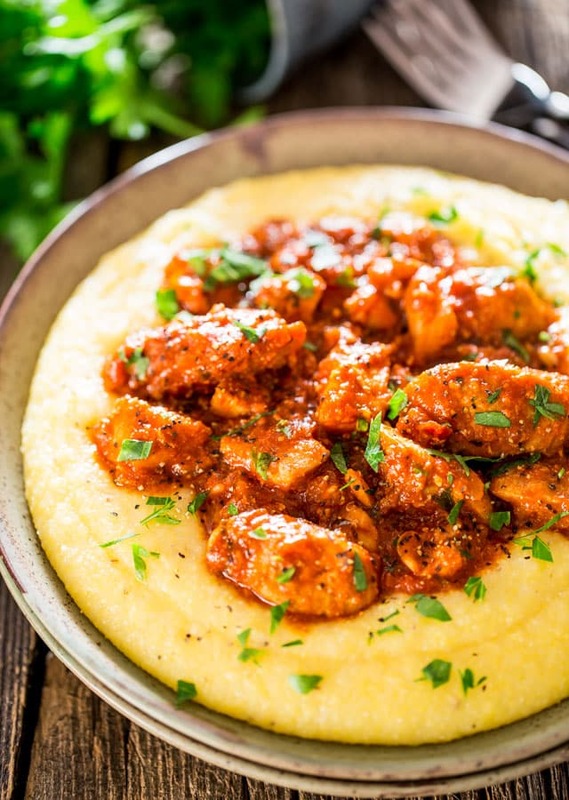 Saucy Chicken and Sausage over Creamy Parmesan Polenta - a true comfort meal if there ever was one. 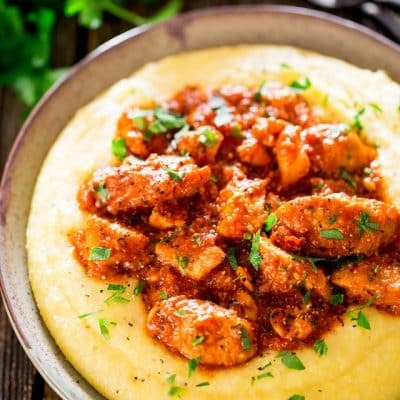 Delicious chicken and sausage in a spicy tomato sauce served over a creamy and cheesy polenta. In a saucepan or a Dutch oven heat the olive oil over medium heat. Add onion and garlic and cook for 2 minutes until the onion is soft and has become translucent. 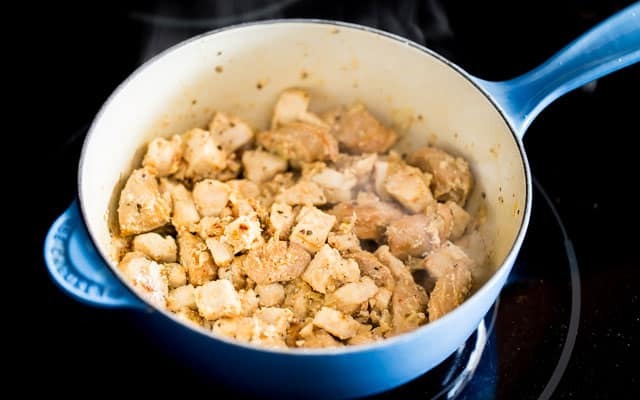 Add the chicken and sausage to the skillet, season with salt, pepper and oregano. 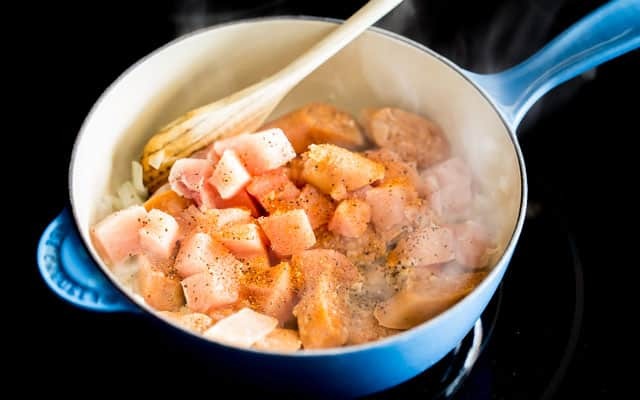 Cook for about 10 minutes or until the chicken and sausage starts to brown. Stir in the chicken broth or white wine and scrape up all the brown bits from the bottom of the pan. 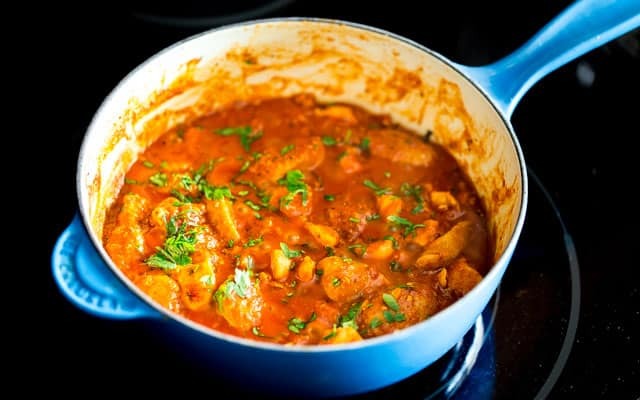 Cook for 2 minutes then add the tomato sauce and hot sauce. Stir in the butter and taste for seasoning. Adjust as necessary. Cook for 5 more minutes, remove from heat and garnish with chopped parsley. Add the cornmeal and 1 cup of water to a cast iron pot. Place the pot over medium to low heat and whisk. This will ensure there will be no lumps. Let the mixture come to a boil and you'll notice it will start to thicken as the cornmeal absorbs the water. Add another cup of water at a time, whisk and wait until the water has been absorbed. Repeat until you've used 4 to 4 1/2 cups of water and the cornmeal is cooked and doesn't taste raw. You will need to whisk occasionally but there's no need to hover over the pot while it's cooking. 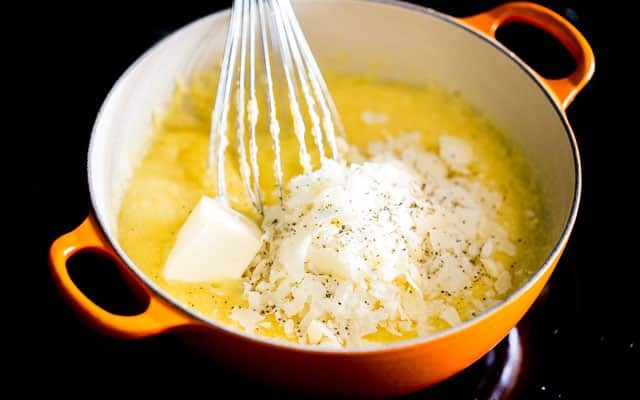 Once the cornmeal is cooked through, remove from heat and stir in the remaining ingredients. Serve by plating polenta, then topping it with the chicken and sausage stew. Terrific flavors! I will definitely make this again. I guess we are big eaters in our family but for estimating quantity I’d say the recipe fed 3 people heartily. I also felt the polenta took more like 30-35 minutes to make so plan accordingly. The directions on how to cook polenta was different than I had done in the past but it sure made smooth delicious polenta. 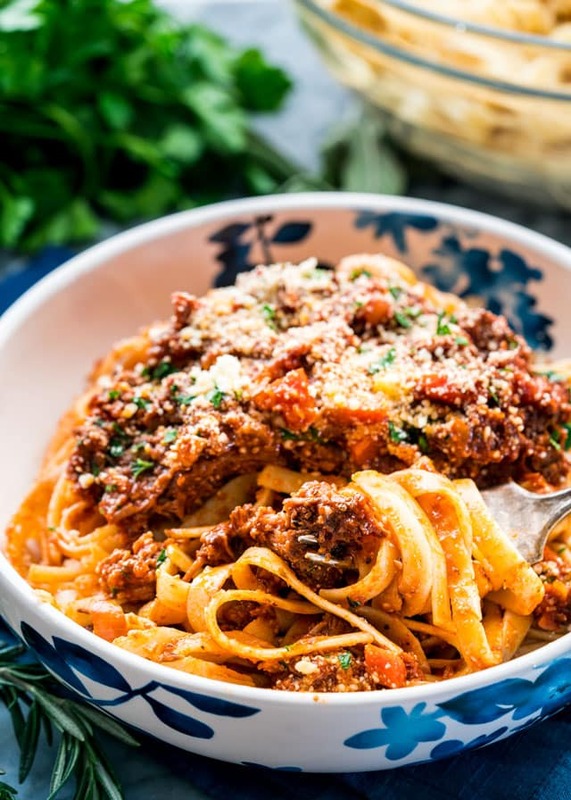 Possibly a dumb question, but what type of tomato sauce do you use? I make my own spaghetti sauce, but maybe I shouldn’t use it in this recipe. Thanks. I used Hunt’s tomato sauce here, just plain old tomato sauce. This was great! We will be working this into our rotation. I used fresh basil as a garnish instead of parsley. I also like my polenta pretty thick so my ratio was 3:1 using 2 cups water and 1 cup milk. Thanks for posting! I am eating this right now and it is delicious!! I’ve never made Polenta before so I wasn’t sure how it would go, or taste. It was very easy to make and combined with the saucy meats…well, I’ll make it again, that is for sure! Yummy!!!! just finished eating. Didn’t make polenta this time,served overTrader Joe’s gnocchi. I will make again and try the polenta, I love just didn’t have time. 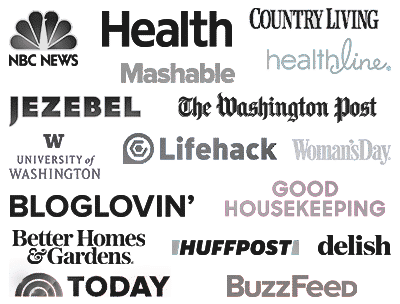 Love all your recipes! we are making this tonight…as I type…the meat and sauce are soooo yummy….the polenta we are having issues with….we doubled the recipe….what consistency should the polenta be….how we are doing it, it’s a little soupy….but yummy….thanks for this recipe…very tasty and will rock more once we figure out the polenta since we doubled the recipe…. It should be creamy, you should still be able to stir it with a wooden spoon, it will harden once it cools. But it shouldn’t be soupy, more like risotto if you’ve ever made risotto. I wonder if you’re using instant cornmeal instead, never used it so I’m not sure how it would work out. I am making this tonight for dinner and I was wondering if you had a ballpark estimate for how long the polenta takes to cook? 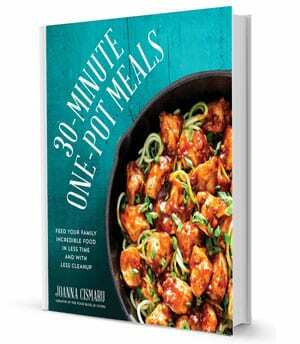 Do you start the polenta before the chicken–Is that a reasonable amount of time or are we looking at longer/shorter? Thanks so much! The polenta should take about 20 minutes to cook, soyou could start everything at the same time. 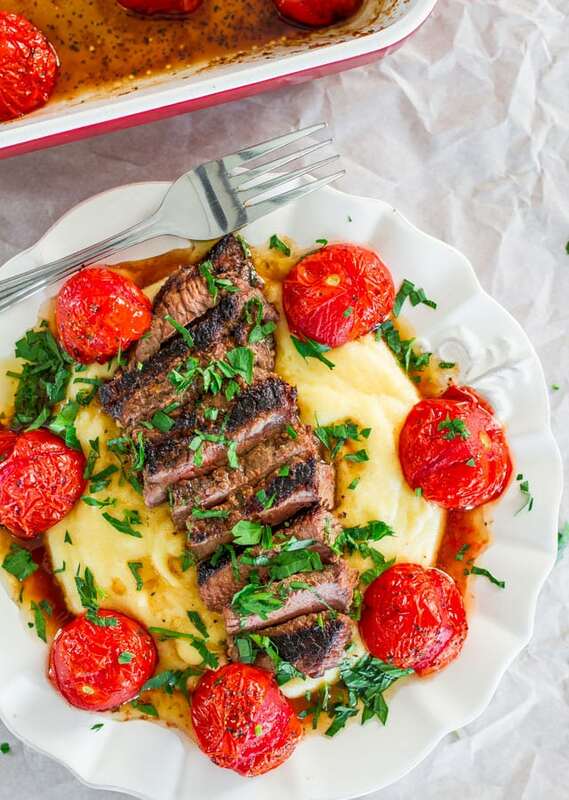 never made polenta but this looks amazing- I will be making it this week for sure! If there is polenta leftover, will it be ok to re-heat/ microwave the next day? It’ll be ok, but it’ll be a bit harder, it won’t be same as when you first make it. To reheat the next day, just add some water and stir occasionally. It will soften up again. Can this be made ahead of time and frozen? It sounds wonderful…. and different. The chicken and sausage can definitely be frozen, but I’m not sure about the polenta, never had to freeze polenta before. Jo, we made this last night and it was just amazing! Easy to make and full of flavor, and (although we like hot food), the Frank’s did not make this ‘overly’ hot, just delicious. We tweaked the salt to taste. This recipe is an absolute keeper and we are looking forward to the leftovers! Thank you! I’ve never made polenta but I love the easy directions you’ve laid out here and I’ve pinned it for future me! Looks delicious with that sausage on top, too! Wow Jo, your dish is AMAZING!!! Thank you soooo much for this wonderful comfort food! It’ll be much appreciated. Thank you Panos and Mirella, love your name by the way. I grew up eating polenta, such a nice traditional Romanian dish, we make it at least every two weeks, and I make some for my baby every week, he loves it with sour cream and ricotta. Oh I love it with sour cream and feta lol. Such a comfort food, eh? I was taught to make polenta at a young ago, too. I haven’t made it in a long time though. I should try this!